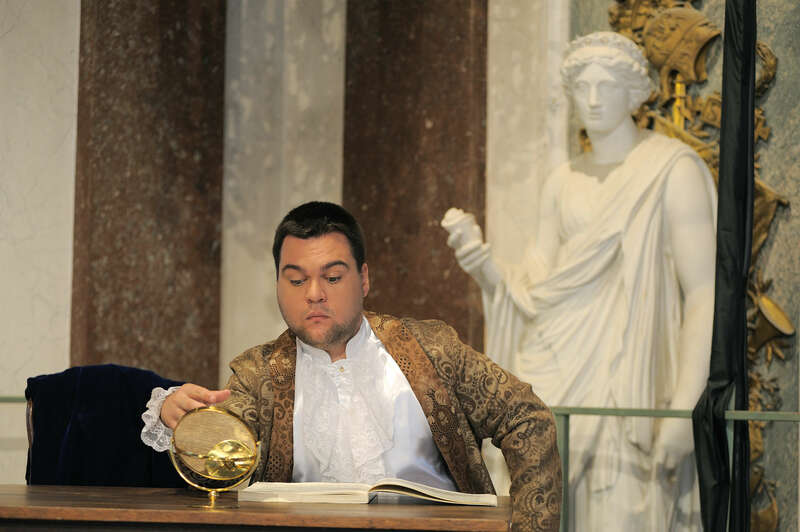 Mihail Mihaylov is a young, excellent lyric tenor, specialized in Italian bel canto roles. Tenor Mihail Mihaylov graduated from the National Music Academy ‘Prof. Pancho Vladigerov’ in Sofia, where he studied under the guidance of Professor Ivanka Ninova. At the age of twenty-two, during his studies, he made his opera debut singing the part of Count Almaviva in Il barbiere di Siviglia. Afterwards, he appeared in various bel canto tenor roles: as Eduardo Milfort in La cambiale di matrimonio and Ernesto in Don Pasquale. Following his graduation from the Academy Mihaylov performed Nemorino in L’elisir d’amore, Beppe in Rita, Edgardo in Lucia di Lammermoor, Alfredo in La traviata, Duca di Mantova in Rigoletto, Fenton in Falstaff, Count Camille de Rosillon in Die lustige Witwe, at the most important Bulgarian opera houses as well as at the Macedonian Opera and Ballet in Skopje. Since 2012 Mr. Mihaylov started gaining his oratorio experience as a regular guest soloist at the Sofia Philharmonic where he sang tenor solos in: W. A. Mozart’s Requiem, G. Rossini’s Stabat Mater, C. Saint-Saëns’ Messe de Requiem, F. Schubert’s Mass No. 6 in E-flat major and L. v. Beethoven’s Symphony No. 9. He also performed A. Dvořák’s Requiem with the Mihail Jora Philharmonic Orchestra Bacău, Romania; F. Mendelssohn’s Elias and A. Dvořák’s Stabat Mater with the Bulgarian National Radio Orchestra; G. Verdi’s Requiem with the Iași Moldova Philharmonic Orchestra, Romania as well as with the Royal Philharmonic Orchestra, London, UK. In 2013, Mihaylov took part in a Verdi/Puccini Gala Concert with the Munich Symphony Orchestra. In 2013, 2014 and 2015 he performed at prestigious German festivals: Klassik auf der Burg and Herrenchiemsee Festspiele as Bacchus in Ariadne auf Naxos and as Edmondo in Manon Lescaut; at Klassik am See as Alfredo in La traviata and as Duca di Mantova in Rigoletto. In 2018 he appeared at tha Laval Opéra Festival (France) and Opernspiele Munot (Switzerland). The same year he was invited to perform tenor part in G. Verdi’s Requiem in Freiburg and Breisach with the Junger Kammerphilharmonie Freiburg. He performed this part also at the Silesian Philharmonic at Katowice. His engagements for the 2018/2019 season include the parts of Duca di Mantova at the State Opera Stara Zagora in Bulgaria and Lensky with the Bulgarian National Radio Orchestra & Choir at the Sofia Philharmonic, as well as the tenor part in G. Verdi’s Requiem at the Krakow Opera. Mr. Mihaylov has performed at: the Royal Festival Hall, London (UK); th Moscow Kremlin (Russia); the Gasteig (Munich, Germany); the Auditorio Nacional de Música (Madrid, Spain), the Palau de la Música Catalana (Barcelona, Spain), the Théâtre de Vevey (Switzerland), the Osaka Festival Hall (Japan) and the Teatro del Giglio in (Lucca, Italy). Mihail Mihaylov was awarded the Second Prize from the IV International Competition for Chamber Music “Richard Strauss” (Sofia, Bulgaria, 2015). In 2015 he won the Grand prix at the International Song Competition “Romansiada” (Moscow, Russia). In July, 2017 Mihaylov was one of the 20 singers who reached the semi-final stage of the Placido Domingo’s Operalia. In 2018 he was a semi-finalist at the Concours musical international de Montréal. On his account, the artist has numerous recordings for the Bulgarian National Television and the Bulgarian National Radio.